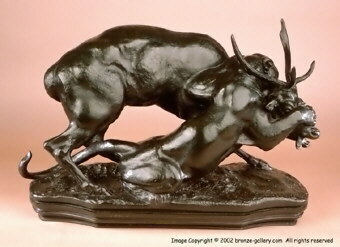 Panther Attacking a Stag is a wonderful large Barye combat group. Barye is best know for his combat groups involving the big cats. He portrays the relationship between his subjects in a most realistic manner. 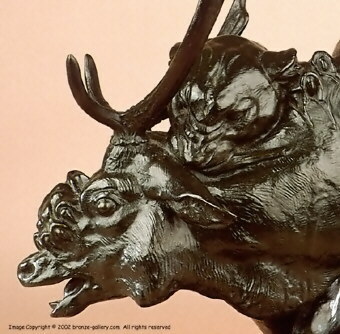 Ferdinand Barbedienne was one of Barye's most ardent supporters and the casts made by Barbedienne in his Paris foundry of Barye's bronzes are always superbly cast, detailed, and finished to the standards as high as Barye's. Our example of Panther Attacking a Stag is finely detailed and wonderfully finished in a multicolor black and green patina. 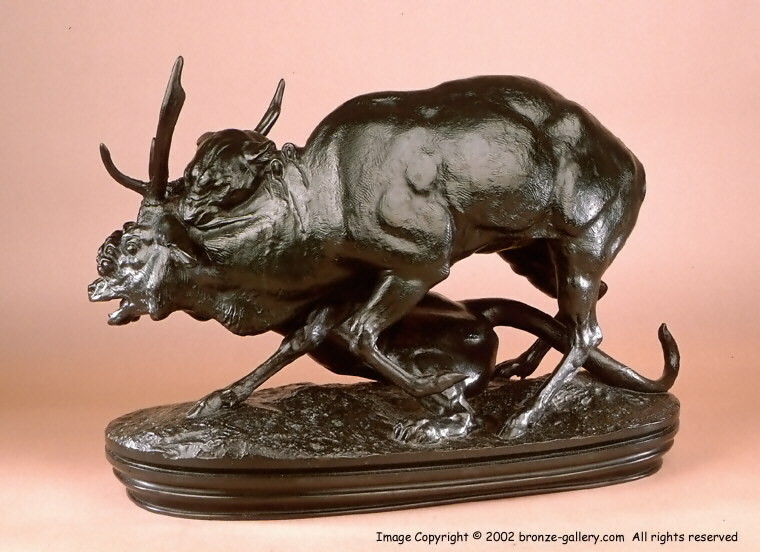 It has an unusual architectural base which is seldom found on Barye's works. 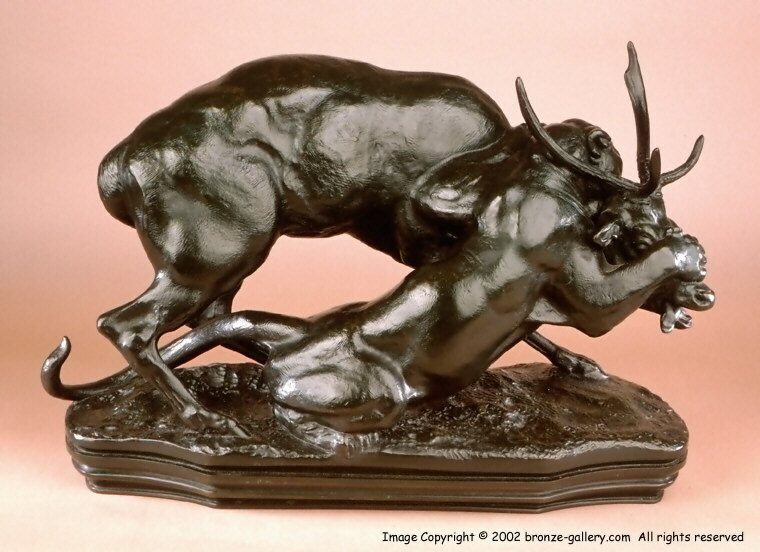 Panther Attacking a Stag was done as a pendant to Barye's Tiger attacking an antelope which is the model that is encountered more frequently. 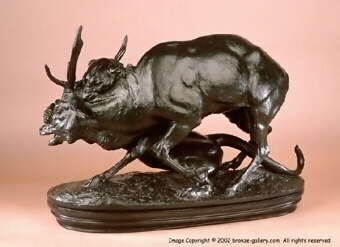 These large examples of Barye's work are becoming harder to find as more museums add them to their permanent collections.